We are full-time Custom Knife dealers specializing in top quality hand-made folders, fixed blades and engraved pieces. We've been selling and collecting handmade knives for almost 30 years, privately and at shows. Knife Legends is a company run by collectors for collectors, which means that your passions are our passions. It also means that we are focused on providing outstanding customer service and top quality products at a fair price. While we are not the largest web-site featuring premium Custom Knives, we hope you will think we are the best. 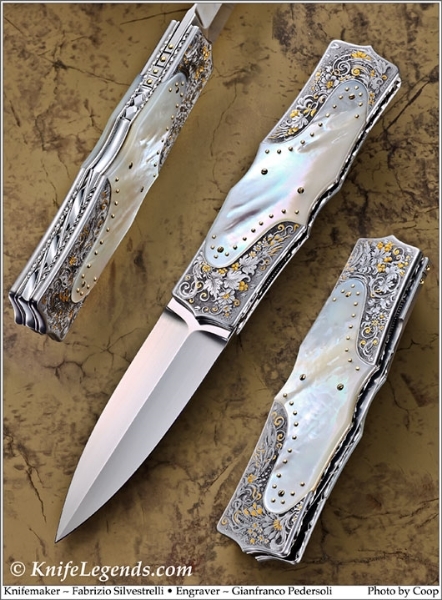 We have long standing relationships with many of the top makers and engravers in the US and abroad, so you can expect to see the Crème De La Crème of handmade knives and engraving from Knife Legends. And although we occasionally acquire a rare piece from a private collector, more than 95% of our knives are obtained new directly from the makers.